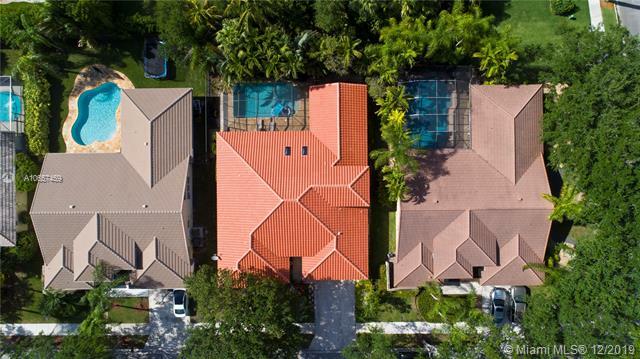 Spacious 5-bedroom home located in one of the premier communities in the beautiful city of Weston, Florida. This home boasts hardwood floors and carpets throughout, walk-in closets, a screened in porch and a two car garage. Large kitchen with granite countertops makes this a wonderful home to host friends and family. Weston was selected by Money Magazine as “One of America’s Best Small Cities”. The Ridges is within walking distance from Everglades Elementary School, Falcon Cove Middle School and Cypress Bay High School, all rated A+ by the State of Florida for academic achievement. Extensively landscaped, the Ridges provides expansive lawn areas where residents can enjoy leisure activities with family/friends. The Ridges offers an array of amenities for every age and lifestyle. Weston Hills Country Club: Tucked on a quiet street in Weston Hills, this light and bright home provides a fantastic opportunity to purchase a meticulously maintained 4 bedroom and 3.5 bathroom home in the heart of Weston. This highly desirable triple split floorplan with open living areas delivers the perfect flow for entertaining and relaxing. Upgraded kitchen with granite countertops and breakfast bar. Expansive Master Suite with sitting area. Custom built office in 4th bedroom. Private fenced yard with tons of room to relax on the screened in patio and room for a pool. Neutral colors throughout. New Roof. Walking distance to park and playground. A rated schools. This exquisite home is ready for you to move in! Weston Hills: Impeccable 5 Bedroom 3.5 Bathroom One Story Weston Hills Updated home. The property has an open floor plan with recently updated kitchen and bathrooms, new bright tile throughout the home with high ceilings and a formal dining room. Colossal master bedroom with sitting area with French doors opening to a screen patio and private backyard. Property has been modified to provide an open floor plan which was done in conjunction with an interior design for design, optics and flow. Too many updates to list! Shown by appointment only - call me today to schedule. Isles at Weston: Location...Location...Location! This beautiful home is located in the exclusive gated community of the Isles of Weston. The home boast an amazing floorplan, From the moment you walk-in...with high ceilings and room for family outings and parties. It's a must see to appreciate! Call me for a private showings. Weston: LUSH TROPICAL FOLIAGE & A WARM INVITING FEEL GREET YOU AT THIS PERFECT 1 STORY 4 BED 2 BATH HOME IN VERONA LAKE. WALK THRU DOUBLE DOORS INTO THE FOYER ENTRANCE AND IMMEDIATELY YOU ARE GREETED BY A VIEW OF A PEACEFUL PARADISE BACKYARD OASIS WITH HEATED (NEW HEATER) FREE FORM POOL & JACUZZI. HUGE COVERED & SCREENED PATIO WITH NO NEIGHBORS BEHIND. TOTALLY SECLUDED AND PRIVATE. INTERIOR FEATURES STUNNING KITCHEN WITH GRANITE COUNTERS, 42" WOOD CABINETS AND STAINLESS STEEL APPLIANCES WINE RACK AND WINE CHILLER. NEUTRAL TILE IN LIVING, DINING, KITCHEN AND FAMILY ROOMS. MASTER NEW HAS HIGH GRADE ENGINEERED WOOD FLOORS AND UPDATE BATH. TWO WAY SPLIT PLAN AND 3RD BEDROOM CAN ALSO BE USED AS AN OFFICE. A GRACEFUL, TIMELESS AND DESIRABLE FLOOR PLAN. CREDIT FOR BUYER AT CLOSING FOR BEDROOM CARPET. The Meadows: Welcome to this Stunning, MOVE-IN READY, Light & Bright 4BD+Office/3.5BA/2CG MODEL PERFECT ONE STORY, Meticulously Maintained & UPGRADED Home in The Meadows. Bask in the FRESHLY PAINTED, Open Concept, SPLIT FLOOR Plan w/ HIGH Volume Ceiling. Relax in the Lushly Landscaped, Private Fenced BISTRO-LIKE Oasis w/ Generous Covered Patio, Resplendent in Chicago Brick. Enjoy TOTALLY REMODELED SLEEK Kitchen w/ Granite Counters, New SS Appliances INCL DOUBLE OVEN, 42” Solid White Wood Cabinets & Pull Out Drawers. Expansive Master BDR w/ CRISP Remodeled Master Bath & Soaking Tub. Brazilian Cherry Wood Floors in All BDRs. Closets Professionally Organized, Accordion Shutters on All Windows/Glass Doors. AHS Home Warranty. Access to Best A Rated Weston Schools. COMM POOL, TOTLOT & PLAYGROUND. A MUST SEE! Savanna: BACK TO THE MARKET! Gorgeous home with the perfect spaces for family living and gatherings. Your children will go to A+ schools and the bus stop is right at the corner. Located very close to Gate and to the magnificent Savanna Club House (3pools & more) & just 5 mins to Regional Park. Access to I-75 and 595, restaurants and shopping plazas & malls. Spacious and light 5Beds and 4 full baths. 1 bed/1full bath in ground floor. Tile throughout on first floor, real wood upstairs. Family Room with Dinette space. Granit countertop Kitchen/Stainless Steel Appliances. Perfect fenced and private patio with grass, for kids to play and room for pool/spa. Covered Terrace & BBQ Area. Accordion Shutters. Pet friendly home (small access door to back yard). The Island: Impeccable 4 bedroom 2.5 bathroom home tucked on a quiet street in the gated and highly desirable boutique community of The Islands. You will fall in love with this open concept space with volume ceilings, oversize great room, large windows and tons of natural light. Split floor plan has large secondary bedrooms with adjoining jack & jill bath. Spacious master suite with study/nursery/guestroom on opposite side of the home for privacy. Features include crown molding, stainless steel appliances, organized closet systems, new roof, and so much more! Lushly landscaped private and spacious yard with plenty of room to design your own pool. This home is meticulously maintained and it shows! Sunset Springs: This beautiful single family Home nestled in a lush landscaping is waiting for a new family. Located in the Beautiful neighborhood Sunset Springs walking distance from the Town Center, this gem features 4 bedroom, 2.5 bath, with w/2 car garage and plenty of storage. From the foyer you can outlook the covered terrace and screened sparkling pool with renewed Diamond Brite finish and the tumbled marble pool deck. The living room, dining room in separated formal areas embrace you from the open entrance. The kitchen was renewed with Thomasville wood cabinets. A Separate laundry room w/HE front load washer/dryer. Newer water heater, HVAC, pool pump & filtration system. Accordion hurricane shutters and high impact windows. California Closets throughout. The Lakes: Do not miss out on this great opportunity, quiet at the end of the cul-de-sac, tree-lined street in the desirable guard-gated community of “The Lakes”. This beautiful home is in move-in condition, waterfront, 4 bedrooms, 2 ½ bathrooms, completely remodel and fenced property. The community offers a swimming pool with cabana baths, sand covered tot-lot for little kids, a game field ideal for soccer or touch football matches, and a picnic area perfect for family gatherings. Enjoy all that Weston has to offer, with prime shopping and dining and high ranked schools. Easy access to major roadways. Isles at Weston: Nestle in to this lovely home with an OVER SIZED PRIVATE Back and Side FENCED yard. There are no neighbors behind and plenty of room on the side as well. This is the perfect home for any family! Freshly painted inside and out. New stainless steel kitchen appliances, New wood staircase railing and wood floors on staircase and second floor landing. This home has been meticulously maintained and shows beautifully. Bring your pickiest buyers! All bedrooms are upstairs. The Isle of Weston is the premier community in Weston and offers a magnificent clubhouse which includes a resort style pool, fitness center, volleyball & basketball courts. The Island: PRICED TO SELL NOW! MUST SEE 2-STORY, CUSTOM POOL HOME IN THE HEART OF WESTON - CAMELLIA ISLAND. DOUBLE-DOOR ENTRY W/NEW HARDWOOD FLOORS THRUOUT MAIN AREA. 2924SF, 4BR/3BA, 2-ZONE AC & 19' CEILINGS IN LIVING ROOM. INSIDE & OUT PAINTED IN 2017/18. LARGE MASTER SUITE UPSTAIRS W/2 WALK-IN CLOSETS & NEW FRAMELESS SHOWER, ROMAN TUB & SEPARATE TOILET ROOM. 1 BR GROUND FLOOR CURRENTLY USED AS OFFICE, W/ENSUITE FULL BR W/NEW TUB/SHOWER. LARGE LOT IDEAL FOR ENTERTAINING. FREEFORM POOL W/CHILD/DOG FENCE, COVERED PATIO AREA FOR GRILLING & LOTS OF SPACE FOR KIDS & PETS TO PLAY. BONUS UNDER-STAIR STORAGE, SEPARATE LAUNDRY ROOM W/NEW WASHER/DRYER, ACCORDION SHUTTERS ON 2ND FL & PANELS ON GROUND FL. COMMUNITY HAS PARK & BBALL CTS. WALK TO SCHOOLS, SHOPS, FOOD & WORSHIP. 24-HOUR MANNED GATE & SECURITY. Orchid Island: END YOUR SEARCH FOR A NEW HOUSE IN THE HIGHLY SOUGHT AFTER AREA IN THE CITY OF WESTON. MAKE THIS 5 BED 3 BATH 2 GARAGE WATER FRONT CONRNER HOME AS YOUR NEW ABODE. ENJOY THE QUITE SERENE BEAUTY OF WESTON NEIGHBOURHOOD. LARGE BACKYARD OPEN TO THE END SET OF THE LAKE. READY TO MOVE IN WITH YOUR FURNITURE. ROOF AND AC ARE LESS THAN 10 YEARS OLD. CLOSE TO EVERYTHING. A+ SCHOOLS, HIGHWAYS, CITY CENTER, ETC. A MUST SEE TO APPRECIATE PROPERTY. AMAZING HOME. CENTRALLY LOCATED IN WESTON. GREAT POOL AREA WITH A WATER VIEW. ONE STORY 4 BEDS AND 2 1/2 BATHS. EASY TO SHOW. CALL LISTING AGENT. FULLY RENOVATED IN WESTON'S PREMIER COMMUNITY WESTON HILLS COUNTRY CLUB HARBOR VIEW SUBDIVISION. BRIGHT AND ELEGANT 4 BEDROOM 3 BATH. BIG LOT 9,638 Sqft. MARBLE FLOORING, WOOD IN BEDROOMS. GRANITE COUNTERTOPS, STAINLESS STEEL APPLIANCES, EAT-IN KITCHEN & SPACIOUS FAMILY ROOM. COVERED PATIO, A+ WESTON SCHOOL. IT IS ONE OF A KING. EASY TO SHOW. TEXT OR CALL LISTING AGENT. The Ridges: This charming 4 bedroom (plus sitting room) home sits on a private lot with a spacious park-like yard. The screened 1350 sq ft patio with extended overhang and freeform pool is perfect for outdoor entertaining or just relaxing. Interior features include kitchen wood cabinets, stainless steel appliances and breakfast area, French doors, tile downstairs and wood flooring upstairs. Guard gated neighborhood with walking paths, green areas with picnic Tiki huts, community pool, playground, basketball and ball fields. Top notch schools! Weston Hills Country Club: Stunning one story home in Weston Hills Country Club. 3 bed + office could be 4th bedroom. Large eat in kitchen with island bar, wood cabinets, lots of counter space plus eat in dining. Family room + Formal dining and living room. Large foyer with tile floor inlays and soaring ceilings make this entryway very impressive. Tons of windows make this home light and bright. Master suite has professional built in walk in closet with shelving, drawers and a chandelier! Master bath has two seperate vanities with sink and lighting, shower and seperate spa tub. 2nd bath has double sinks tub/shower combo. Bedrooms are large and have wood flooring. Inside laundry room, lots of storage. Screened patio. Close to highways and shopping. Small yard perfect for minimalistic maintenance!